Have you ever walked past a cake shop and lovingly gazed at every cake in there with a watering mouth too? But then a guilty streak hits you and you carry on walking because you can’t bear the guilt of eating that beautiful cupcake? Well, we are here to help take that guilt away. We proudly present 8 gorgeous cake recipes which include vegetables, which makes having that cake okay as it could be classed as one of your 5 a day. They do say to get these nutrients through a variety of means right? Cake is definitely one of these. This luscious cake is lemony and light, with an extra citrus kick from the lemon syrup drizzle. 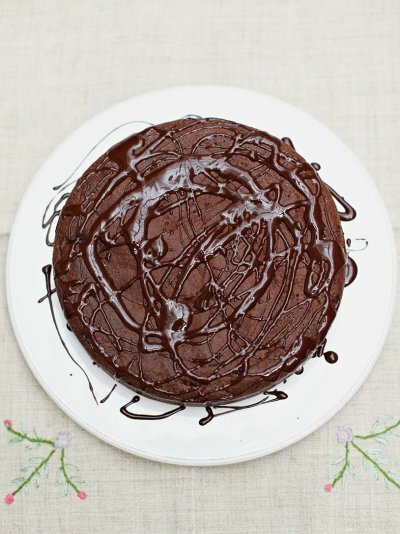 This moist and chocolatey cake has a healthy beetroot twist to it which means it fits in our list perfectly. 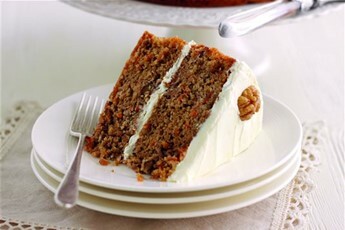 Enjoy classic afternoon tea with this carrot cake covered in rich cream cheese frosting. The winner of Good Food’s 20th birthday cake competition, we think this is the new carrot cake – who would have thought to put parsnips in a cake?! This indulgent, fudgy vegan bake is topped with a rich frosting – you’d never guess that it’s free from dairy, eggs, wheat and nuts. A tropically spiced cake with a delicious flavour that’s like no other. A flavoursome cake that combines the sharp taste of rhubarb with the delicious crisp taste of almonds. Made by the fair hands of our intern, we can vouch that this recipe is a hit. Rhubarb & Almond Cake made by our lovely intern! A sweet and moist cake topped with lashings of cream cheese frosting – it’s the perfect excuse to eat vegetables in a very tasty way! If you can think of any tasty ways to incorporate vegetables into your favourite cake recipes, please Tweet or post them on Facebook so we can try these out too!